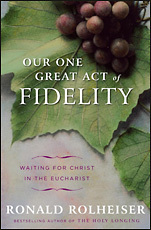 In his latest book, Ronald Rolheiser provides an inspiring message of hope and perseverance for all of us struggling with our faith in tumultuous times. The last few decades have rapidly birthed a modern world that would have been unrecognizable fifty years ago. As long-held beliefs on love, faith, and God are challenged by the aggregate of changes that have overhauled our world, many of us are left feeling confused and uncertain while old norms are challenged and redefined at breakneck speed. 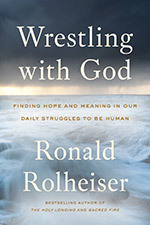 In Wrestling with God, Ronald Rolheiser offers a steady and inspiring voice to help us avow and understand our faith in a world where nothing seems solid or permanent. Drawing from his own life experience, as well as a storehouse of literary, psychological, and theological insights, the beloved author of Sacred Fire examines the fears and doubts that challenge us. 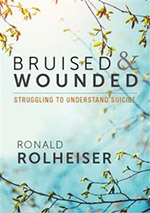 It is in these struggles to find meaning, that Rolheiser lays out a path for faith in a world struggling to find faith, but perhaps more important, he helps us find our own rhythm within which to walk that path.